If you live in an apartment, perhaps you’ve heard the terms smart home and home automation and shrugged them off as the realm of suburban homeowners. Today’s smart home devices, however, are being designed with portability in mind, making them perfect for renters. If you want to lower your utility bills, increase your safety and make your apartment more comfortable, it’s time to tune in to the smart home revolution. 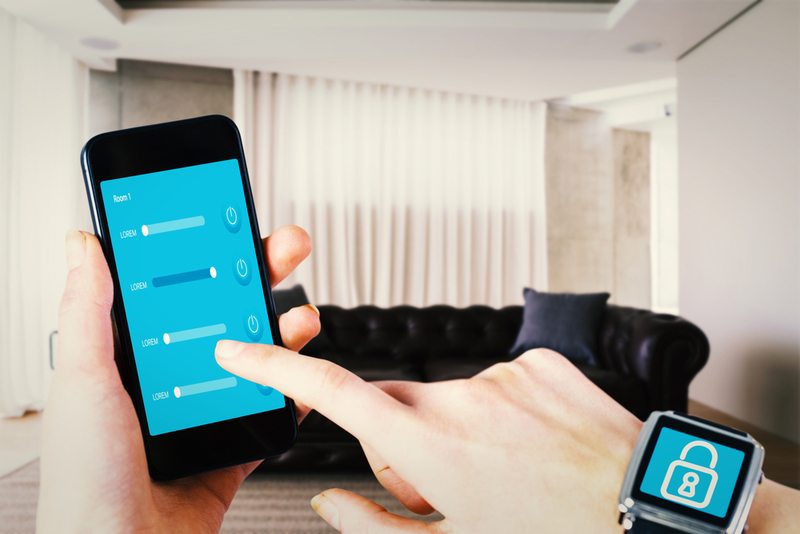 What Is Home Automation, and How Can It Work in an Apartment? Home automation is the term used to describe devices that use connectivity and embedded sensors to automate common household tasks. The concept has been around for a while, but it used to require spending thousands of dollars on a fully integrated, wired system (not something most renters would consider). Today, the advent of the DIY smart home, powered by smartphones and wireless communication protocols, has made home automation products far more affordable. Two examples are light bulbs that turn themselves on and off and door locks that open upon your approach. And a growing number of these products are designed to work with each other—when your door unlocks, it can tell your lights to turn on. When you amass enough of these gadgets, you begin to build what is known as a smart home: one that communicates with itself and acts on the occupants’ needs. A smart home can also act on a problem when the house is empty, like a smart smoke alarm that tells a smart thermostat to shut the heating off when it senses a carbon monoxide leak. This combination means that you can benefit from the security, convenience and energy efficiency of home automation, even if you don’t own your home. Read on to discover how you can use home automation to turn your average apartment into a smart one. Many DIY smart home products (ones you can install and set up yourself) can be just as easily uninstalled as they are installed, meaning you can take them with you if you move. However, just because a product says it’s wireless doesn’t mean it has no wires at all: It means it communicates wirelessly. Unless they are battery powered, most wireless products need to be connected to power, either via a power cable or by connecting to your apartment’s existing wiring. A: No Permission Required—Smart home products you can install and uninstall with no threat to your security deposit. B: Ask Your Landlord First—Smart home products that have to be hard-wired and/or replace or modify existing elements of a home. These smart gadgets can be installed without jeopardizing your security deposit and can easily come with you when you move, which is perfect if you plan on staying in an apartment for a year or less. 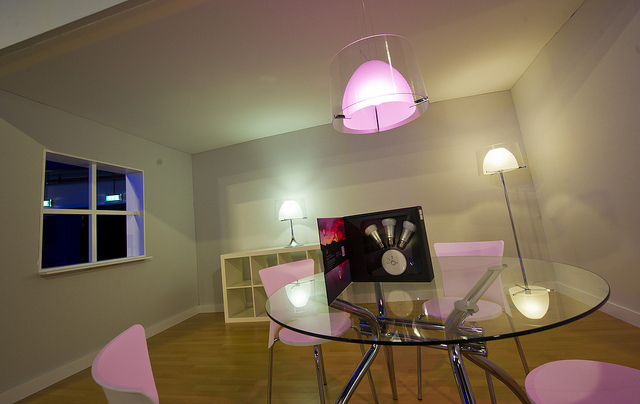 Philips Hue smart lighting can instantly make your apartment feel like home. By switching out light bulbs with connected, low-power LED smart bulbs (such as GE Links or Philips Hues), you’ll be able to turn your lights on or off remotely, put them on a set schedule or pair them with other home automation products to turn your lighting into an organic part of your home. For example, paired with motion sensors or the geofencing location capabilities of your smartphone, your lights can come on as you walk in the house, or be set to mimic the rise and set of the sun inside your home. These integrations are the perfect way to create a comfortable home environment, while also saving energy you would have wasted by leaving the lights on. Just be sure to store the old light bulbs somewhere safe so you can put them back when you leave. For some more ideas of fun things to do with smart bulbs, check out this article from allconnect.com. Smart bulbs work well in smaller apartments because you generally don’t need too many, and if you live alone, you won’t have the issue of people constantly turning the analog switch off (thus breaking the smart connection). However, if using your phone to control your lights is too cumbersome for you, Philips Hue and WeMo both offer completely wireless switches that you can simply attach to your wall. 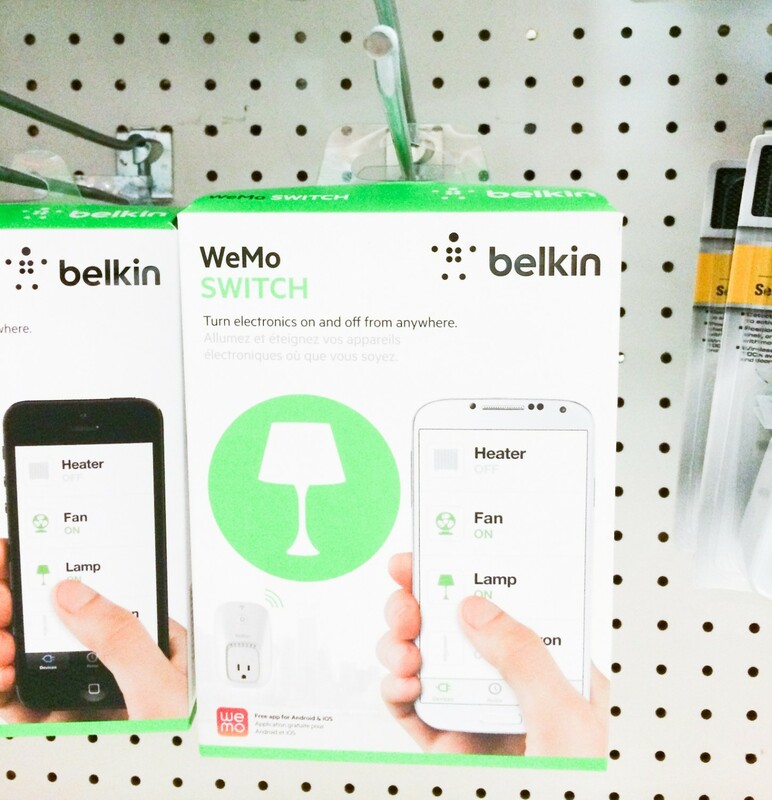 For lamps and other plug-in appliances you’d like to control remotely, consider a smart plug from WeMo or iHome. These go into your existing outlets and allow you to activate anything you plug into them—from lamps and TVs to coffee makers and toaster ovens. 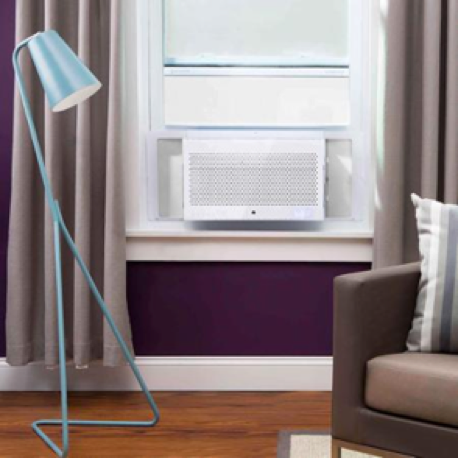 The GE Aros window unit can be turned on and off remotely via your smart phone. Fed up with coming home to a roasting apartment in the summer? Install a smart window air conditioning unit such as the GE Aros app-enabled window unit, and you’ll be able to fire it up before you leave the office. The Aros also has geofencing and scheduling capabilities that help cut back on your energy use while still maintaining a comfortable living environment. If you already have a window unit in place, make it smart with Sensibo, a small device you attach to your unit to retroactively give it smart scheduling and remote access capabilities. Even simpler (but with fewer features), plug your air conditioner or heating unit into a smart switch such as the WeMo, and you’ll be able to turn it on or off remotely, or set a schedule so you don’t need to worry about it again. (Be sure your unit will resume normal operation when power is cut and restored). 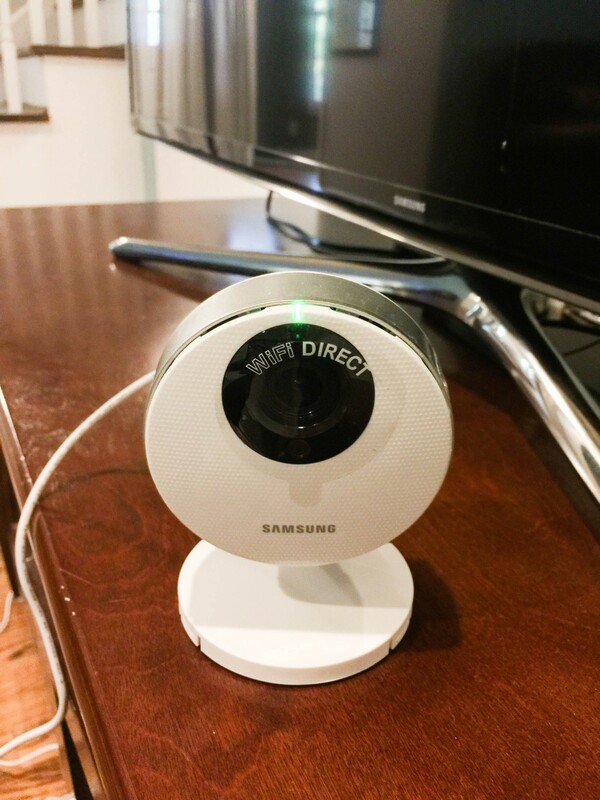 A simple Wi-Fi camera like the Samsung HD Pro can keep an eye on your apartment when you can’t be there. Smart cameras are the perfect simple, portable security solution for apartments. Wi-Fi enabled models like the Nest Cam and Samsung HD Pro just need to be plugged into your Internet router and a power outlet, and you can remotely monitor your apartment from anywhere via your smartphone. These cameras will send alerts to your smartphone if they sense motion or noise, and they will record footage of the event to the cloud (Nest Cam) or to an SD card in the camera (Samsung HD Pro). Both of these models also have two-way microphones, which are a huge help if your building superintendent needs to pop in or you have a cable guy that needs to stop by while you’re at work. You can to talk to them when they arrive, explain what the problem is and keep an eye on them while they’re there. For a comparison of the best smart cameras on the market, read this cnet.com article. If you want a little more security, try an all-in-one smart system like Canary. A single Canary (you can also buy multiple devices for larger apartments) lets you see what’s happening in the apartment and take action if necessary. It records video and senses motion and noise, but it also has a loud siren incorporated into the unit (something you should probably alert your landlord to), as well as air quality, temperature and humidity monitoring. Pair a Canary with a smart air conditioning unit and you can check on the temperature of your apartment to decide whether to adjust the temperature during your commute home. The Wally Water Leak Detector is an all in one system that can detect and alert you if there are leaks in your apartment. It also monitors for mold. While the safety of your personal property is paramount, so is your security deposit. Use smart gadgets such as water sensors to alert you if your bathtub is overflowing or your dishwasher sprung a leak. These small, inexpensive devices can be unobtrusively placed in areas vulnerable to potential water damage (like under your water heater, sump pump or kitchen sink), which is something that could save you thousands of dollars and months of headaches. Samsung’s SmartThings Water Leak Sensor works with their SmartThings Hub to send an alert to your phone if water is detected, as well as triggering a light and siren. Likewise, the LeakSmart Leak Detection Sensor by Waxman works with the Wink Hub to send moisture alerts, and can pair with Waxman’s Smart Water Valve that will automatically cut off water flow when it detects a link. A battery powered Nest Protect Smoke Alarm can be easily installed and will send you an alert on your phone when it goes off. 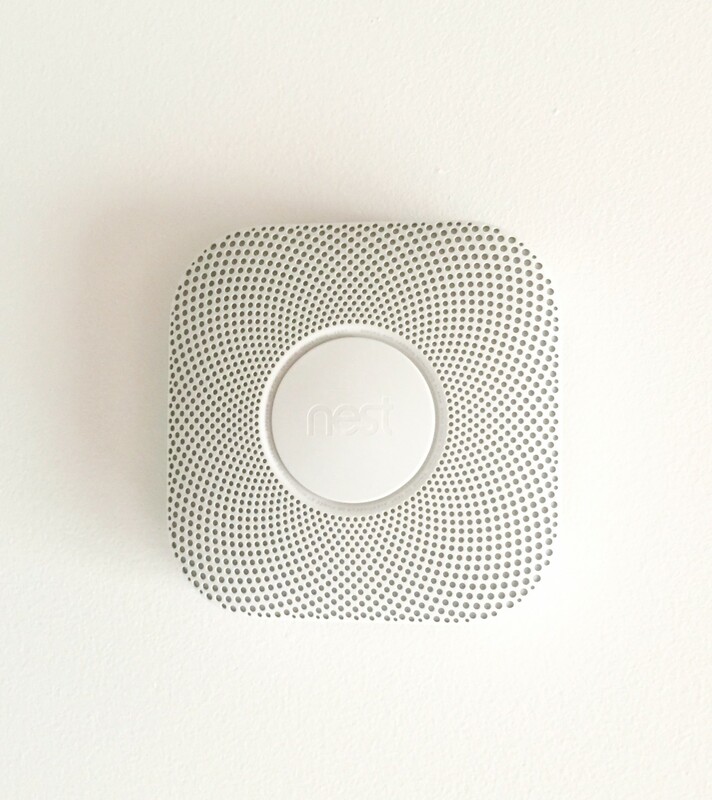 In the same realm, consider switching out the battery-powered smoke detector your landlord installed with a Nest Protect or Kidde Connected smoke alarm. These will send an alert to your phone when activated, so you can be sure to be the first to know if there’s a problem in your apartment. Pick up a smart coffee maker from WeMo and pair it with a plug-in WeMo motion sensor by your bed, and your coffee maker will start brewing the second you get up. Invest in a connected sous vide cooker, and you can have perfectly poached food waiting for you after a long day at work. A connected voice-activated speaker such as the Amazon Echo can set set cooking timers for you, give you correct cooking measurements, keep your shopping list up-to-date and play some tunes to keep you entertained while you’re whipping up culinary delights. Don’t forget about your four-legged friend, either. Poppy Home is launching the first smart pet feeder this year, which will monitor your pet’s eating habits, remotely schedule feedings and dispense perfectly portioned meals through a compatible smartphone app. If you are planning on staying in your apartment for more than a year or two, you might want to consider slightly more permanent systems instead of (or in addition to) the ones described above. Most of these require an installation that either replaces or modifies existing elements of a home, so you will need to speak to your landlord or building superintendent before proceeding. If you’re not sure you can install something yourself, for your own safety and to protect your investment in your new equipment, you should hire a professional to complete the installation. Caseta’s Wireless in-Wall light dimmer switch can turn your lighting into smart lighting. 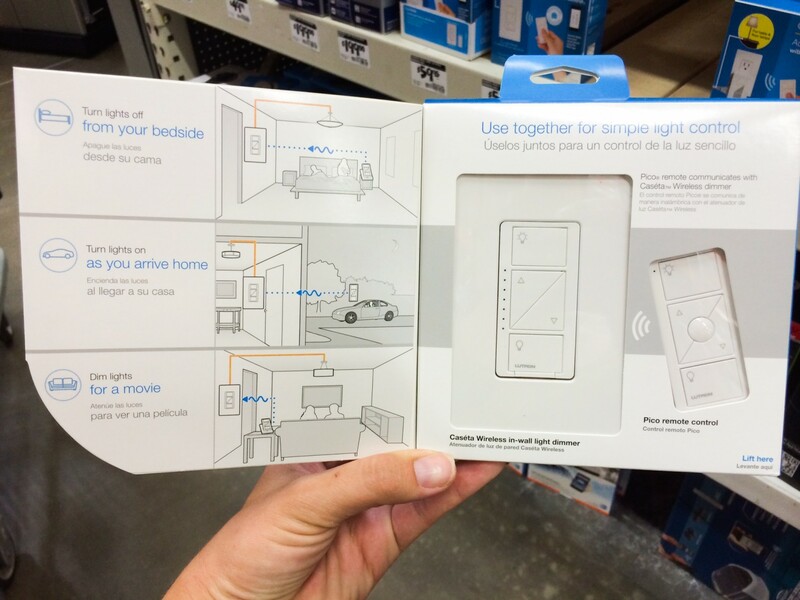 The alternative to smart light bulbs are smart switches. These replace a current light switch with one that has connected smarts. Smart switches need to be wired into your apartment’s existing wiring. They can control any regular, dimmable LED light bulb via the switch, and can also be controlled remotely via a smartphone app or any compatible smart home device. Smart switches can be put on set schedules, just like smart bulbs, and they cost between $40 and $60, compared to between $15 and $60 for a single smart light bulb. Because you only need to replace the switch once, they can be more economical than smart bulbs, especially if you have a lot of light bulbs. They are also a little more user-friendly as you don’t have to use a smartphone to operate them, so your guests aren’t left in the dark. A smart outlet simply replaces your existing outlet and lets you control anything you plug into it remotely. For lamps and other light fixtures that don’t require a wall switch, consider a smart outlet over a smart plug. The advantage of these is that they are less bulky and appear more integrated into the decor. 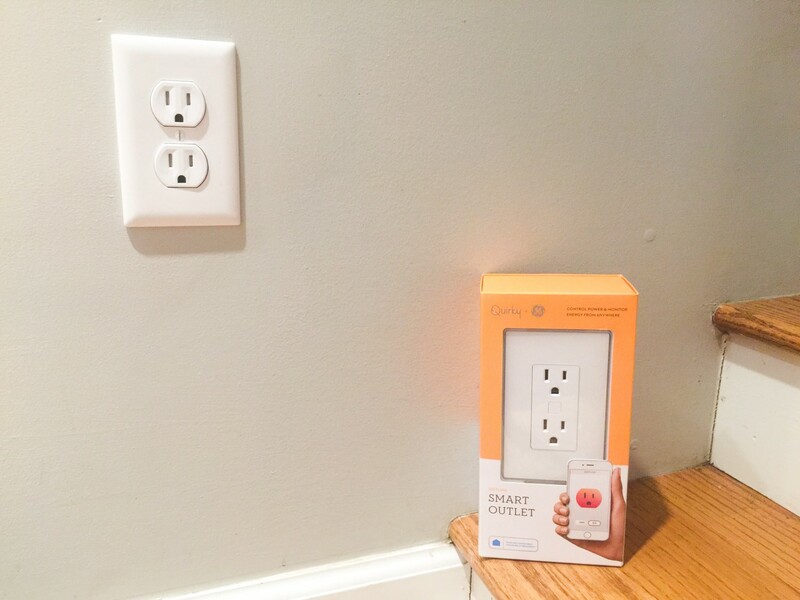 A smart outlet replaces the existing outlet and, again, requires an electrician to install. Once connected, however, you can control anything plugged into it remotely via an app, and have other smart devices control it. Another useful way to use a smart outlet is to plug your television into it. You can then set schedules to turn it on and off at certain times, or connect it to a voice-operated connected speaker. You can just say “Turn on/off the TV,” and it happens—no more frantic searching for the remote as you’re running out the door in the morning. The Nest smart thermostat will learn your routines and automatically program itself around them. 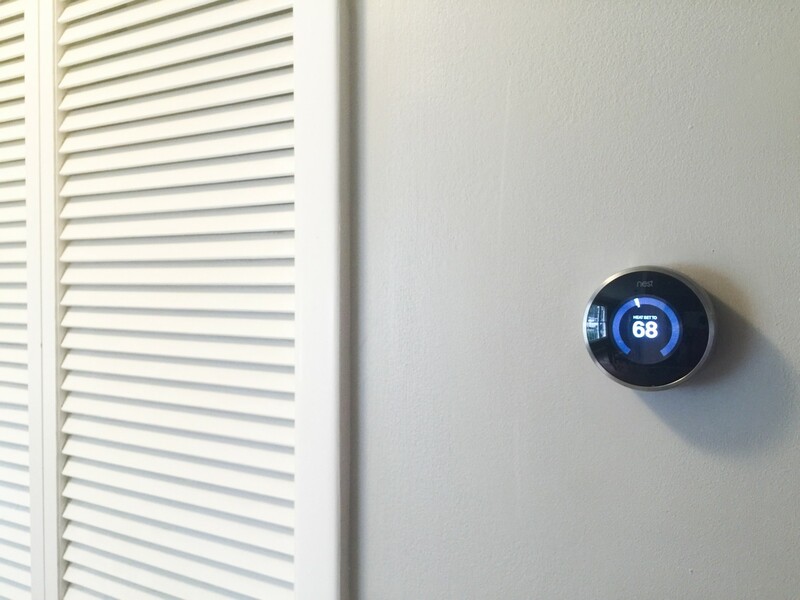 Installing a smart thermostat (such as those by Nest, EcoBee and Honeywell) can be a bit more complicated in an apartment depending on the type of system your building has. As a general rule, if you already have a thermostat in your apartment, it can be replaced by a smart one. However, it’s imperative that you talk to your landlord or building superintendent first to get permission. Consider hiring a professional HVAC technician to do the installation, so you have your bases covered should anything go wrong. Once you have a smart thermostat installed, however, there are many benefits, chief among them being money savings. Nest, the original smart thermostat, claims to be able to save you up to 30 percent off your heating and cooling bill because it learns your schedule and adapts it to optimal energy savings. It also senses when you are away, turning down the heat or air in response. The Nest aims to take you out of the equation so that you don’t need to worry about the climate. However, if you want to, you can always adjust it from your smartphone whether you are at home or away. Nest integrates with a variety of other smart home products and can essentially become your apartment’s smart brain. For example, if you have Philips Hue lighting, when Nest senses you are away, it will turn all your lights off for you automatically. If you have a Nest Cam and a Nest Protect smoke alarm and the alarm goes off, the camera can automatically start recording so you have a visual of the event. 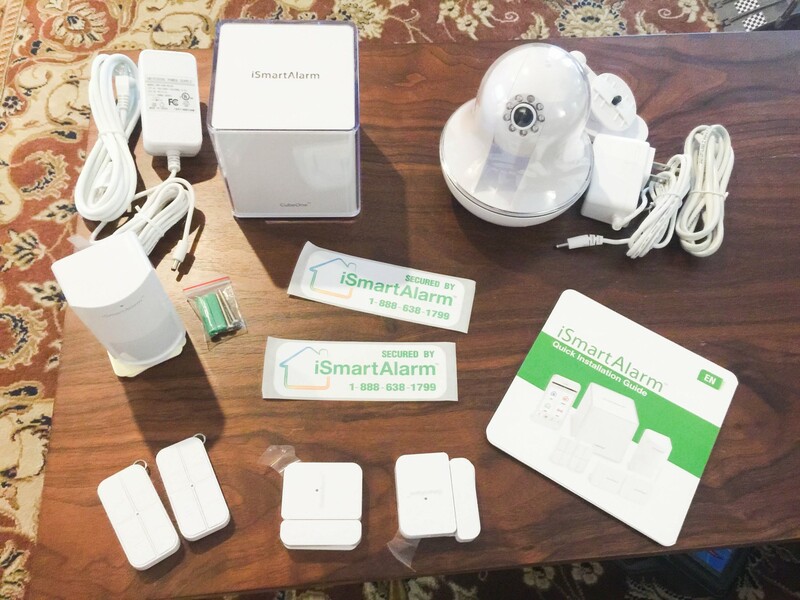 iSmartAlarm is an all in one smart security system you can run through your smartphone. For a long time, having your own comprehensive security system in an apartment wasn’t logistically possible. But today, you can install a complete wireless system for under $400 ($200 if you don’t include a camera) with no monthly monitoring fees or long-term contracts. You can either opt to be the monitoring service yourself, or in some cases you can pay a $10 or $15 fee on a month-to-month basis. These smart systems work using wireless, stick-on motion sensors that are linked to a siren and are compatible with security cameras. Systems are available from companies such as GoControl or iSmartAlarm. Some work with other smart home systems like SmartThings and Wink, while others, such as iSmartAlarm, are an all-in-one solution and don’t require integration with anything else. These systems don’t have to be wired into your apartment or screwed into the walls, but if you are going to have a loud siren in your apartment, you should alert your landlord. Another excellent smart security option for a longer-term renter is a smart door lock. There are two types: one that goes over your existing deadbolt so it can be easily removed, and the other replaces your existing deadbolt. Both will likely require your landlord’s permission, but since they offer an extra level of security, hopefully it will be something he or she is happy about. The main advantage of a smart door lock is the ability to let someone in remotely. (For example, if your roommate forgot his key, or if you need to let the cleaning lady in). You can give people unique codes that only let them in once, or you can only allow them to enter during certain times. Additionally, some smart door locks (such as the ASL-2 Smart Lock by August) will unlock themselves as you approach, using your phone’s Bluetooth as the “key”—no more fumbling in your pockets while juggling bags of groceries. As you can see, bringing even the most basic home automation into your apartment can make your life simpler, smarter and more secure. The beauty of the DIY smart home, however, is that as you add more and more of these smart gadgets to your home, your apartment only gets smarter: You can start integrating your devices and have them work together. The simplest way to do this is to use a home automation hub. This is a small box that connects to your router and acts as the brain of your smart home by talking to your different home automation products. Currently, not all hubs work with all products, however, check out this guide to choosing a home automation hub from TechZulu.com to see which one will fit your needs best. A hub is not always necessary, but it is a great way to get more out of your products because you can use it to create “scenes,” which is a smart home term for having multiple actions happen at once. For example, you can have a “goodnight scene” programmed into your hub’s app, so when you press one button all your lights turn off, your TV shuts down, your smart door lock locks, your sensors arm themselves and your thermostat turns itself down. 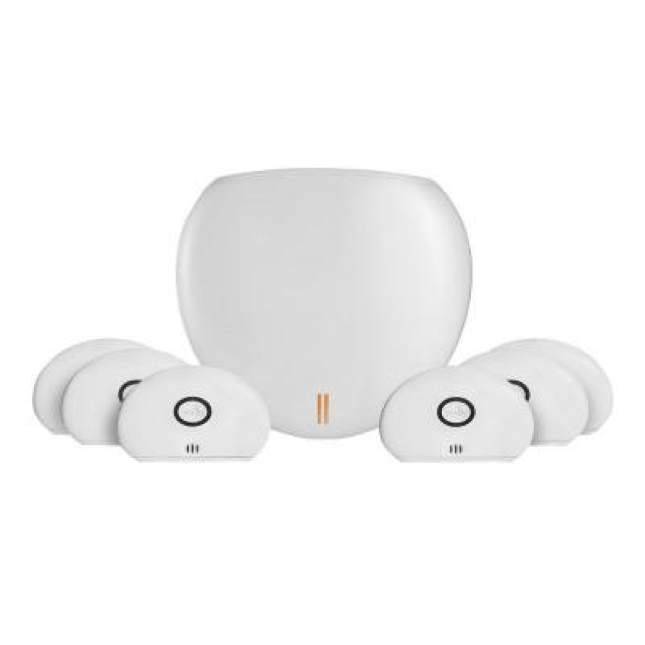 With all these devices working together to protect you, you’re sure to sleep safely and soundly. Whether you opt for a more fully integrated smart home solution or go for just one or two devices, smart home automation will make apartment living safer and more comfortable. Jennifer Tuohy is an award-winning freelance journalist from Charleston, SC, who writes for The Home Depot. Jennifer writes on a variety of subjects, but her passion lies with technology, sustainability and the intersection of the two. In addition to her work for Home Depot, Jennifer edits two local newspapers, raises two children and works at renovating her dream home.